In my previous post A piece of cloth on my head: My Hijab Journey 1 I shared about my mischievous past and how going to university helped to start my change in A piece of cloth on my head: My Hijab Journey 2. I remember that when one of my close cousins said that she would wear the tudung when she gets married, I could not even imagine that I will be wearing it even after I got married. That was my perspective back then. And of course, there were a lot of comments saying things like “wearing the tudung is ‘kampung’ (for the people who stay in the villages) or people who wears the hijab are closed minded people. which held me back from wearing the hijab. However, when I was in university, I was inspired by so many people who were properly wearing the hijab and practicing an important part of our faith. I met ladies who were real geniuses and dean’s list students, with perfect English. They were very smart people who were open, normal, funny, weren’t preachy or judgmental. I slowly realized it was me who was judgmental. It was my own judgmental views of people who wore the tudung which held me back, and I felt ashamed that I even had such a prejudiced and misconceived views. And I am a Muslim. I was also blessed with a roommate who came from a totally different background than mine and it opened up my eyes to a different world altogether. 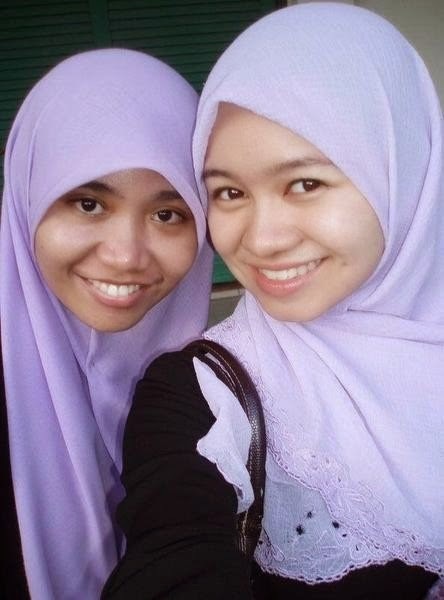 It was shocking to me at first, but at that time, I was her first and only friend who did not wear a tudung. 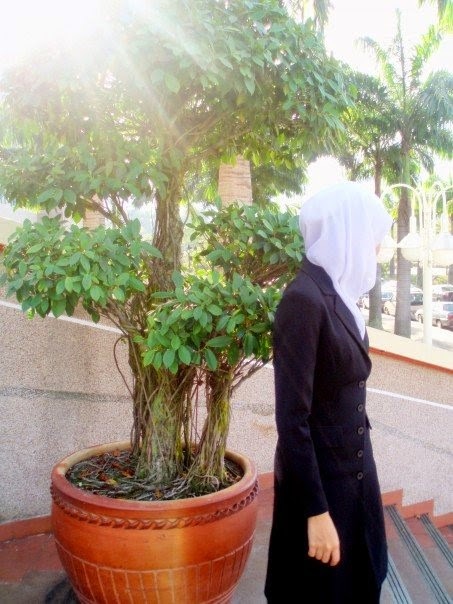 At that time, I barely had any friends who wore the tudung. We were worlds apart. However, she was not judgmental of me though. She accepted me for the person that I was and she touched my heart with her kindness. A lot of my changes came from her. She reminded me to pray and also read Quranic verses melodiously which made me want to learn the verses that she recited. She was one of the few persons who made me fall in love with the religion. She was the angel who always reminded me when I forgot and she always corrected me with soft words and a lot of understanding. Even when her words cut deep in my heart and I knew that she was right, sometimes it would hurt my ego and pride and in my arrogance I would sometimes ignore her. And there were a lot of times that I really forget. There were times when I left my prayers without feeling guilty. When I committed sins and did not repent. I can’t imagine how she felt at that time being an older sister that I never had who had to constantly guide and remind me. We were roommates for four years. She really took care of me and I believe that Allah made us friends to guide me through her and I am really blessed to have known her and have her at that crucial point of change in my life at that time. There were so many other inspiring people around me, but I’ll just mention one more: a hafizah (someone who memorises the whole of the Holy Quran) whose English was perfect and would always get good grades in uni and she did not even have to try hard like the rest of us to study (I suppose when you can memorize the whole Quran, everything else seems so much easier). But she was normal. She liked to play video games. In fact, she skipped university classes to play video games! She was awesome. She was funny too and she was also a kind friend. I also started befriending more Muslims from all over the world in the university that I went to who had a totally different viewpoint from the common perception Malaysians have. To them, wearing the hijab was seen to be a beautiful and liberating choice. It was seen as something to be cherished. Something to be proud of. Something that is still relevant and not an outdated ideal. They were not apologetic about it. It was not a handicap or a nuisance. It was something that changed my mindset. It helped me reduce the self-doubts that I had. Okay, okay. I know at this point, I still haven’t answered the question: what made me wear a piece of cloth on my head. Hehe. So what was the crucial point that made me change? I’ll share in my next post in this My Hijab Journey series. I promise!